Targeting Cancer has welcomed new research which has shown that radiation therapy could increase the chances of survival for prostate cancer patients whose cancer had already spread by the time they were diagnosed. Results from the STAMPEDE trial, which has been published in The Lancet, found that radiation therapy helped men whose cancer had spread outside the prostate to local lymph node or bones live longer. The trial involved more than 2000 men who, on being diagnosed for the first time, had cancer which had spread from the prostate to other parts of the body. Half were given standard treatment and half the standard treatment plus radiation therapy to the prostate. The radiation therapy did not help those whose cancers had spread more widely, but it did make a difference for those whose cancers had spread less extensively. Of those men, 81% survived for three years, compared with 73% who did not get radiation therapy to the prostate. Study Lead Author Dr Chris Parker, from the UK’s Royal Marsden Hospital said the study could have huge implications for the treatment of prostate cancer patients across the globe. “Our results show a powerful effect for certain men with advanced prostate cancer,” Dr Parker said. “These findings could and should change standard of care worldwide. The STAMPEDE research may have huge implications fo the future treatment of prostate cancer patients worldwide. Associate Professor Dion Forstner, Dean of The Royal Australian and New Zealand College of Radiologists’ Faculty of Radiation Oncology (FRO), which runs the Targeting Cancer campaign, said the results were good news for men with advanced prostate cancer. “We already know that radiation therapy is a very effective curative treatment alternative to surgery for cancer localised to the region of the prostate,” A/Prof Forstner said. “The STAMPEDE trial has shown another way that men with prostate cancer can benefit from radiation therapy. 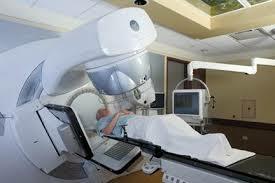 “Radiation therapy is a safe, cost-effective and important treatment for cancer. Approximately half of all Australians diagnosed with cancer – including prostate cancer – would benefit from radiation therapy at some point in their cancer pathway. “It is still very important that men who have cancer localised to the area of the prostate who are recommended to have active treatment see a radiation oncologist as well as a urologist (surgeon) to discuss their treatment options. It is estimated about 17,000 new prostate cancer cases will be diagnosed in Australia in 2018, with about 3000 expected in New Zealand. Earlier this year the FRO released a position statement calling for prostate cancer patients to be given full information on treatment options, including seeing a radiation oncologist as well as a urologist. For more information on how radiation therapy can treat cancer, click here.